UAVs are gradually gaining popularity in the present day due to several advantages offered by UAVs over manned aircraft. Some of the advantages of UAVs over manned aircrafts are cost saving, have greater flight endurance in comparison to manned aircrafts, prevent life threats, and increase mobility due to variety of launching platforms, thereby increasing mission efficiency. The global UAV payload market is estimated to witness a growth at a CAGR of 8.3% from 2016 to 2022. This growth is expected due to an increasing consumer demand and growing opportunities for the UAV payload and avionics in the defense and commercial areas. Payloads comprises of cameras, sensors, missiles, and electronic warfare among others, whereas avionics include Inertial Navigation System (INS), GPS, Inertial Measurement Unit (IMU) Autopilot and Sense and Avoid System among others. The U.S. generated the maximum revenue in the year 2015 in the global UAV payload and avionics industry among all the regions; whereas, India has the maximum potential to grow in the forecast period. If the industry grows at the same pace, it is anticipated to reach over $3.9 billion by the end of forecast period 2022. The Industry Analysis section consists of rules and regulations imposed by governments of different nations on the use of UAVs. This chapter includes value chain analysis of the payload market and procurement data by several countries around the globe. The report segregates payload and avionics market on the basis of payload or avionic type, their applications and by geographical region along with the recent partnerships, product developments, mergers, and new programs among others in UAV payload and avionic market. Moreover, the company profile section includes detailed information about the key players of the industry, along with their financials, and key strategies & developments for the recent years. Some of the key players involved in this market are Finmeccanica SpA, FLIR Systems Inc., Sagem, Velodyne, GoPRO Inc., BAE Systems, Aerovironment and Controp Precision Technologies Ltd among others. 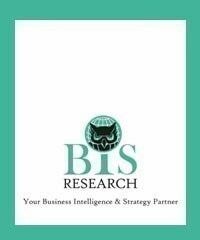 The report is a compilation of different segments of Global UAV payload and avionics Market including market breakdown by type, applications, geography, factors driving the market opportunities and challenges to the market. The report also discusses about the key participants involved in the industry and provides a SWOT analysis for the major players. What are the prevailing payload types, and companies producing them? What are the basic applications of the UAVs? What are the different factors driving the market in the forecast period? What are the factors restraining the growth of Global UAV payload and avionics market? What are the different application areas of UAV payload? Who are the different participants in the global UAV payload and avionics market? What types of new strategies are being adopted by existing market players to make a mark in the industry? Which region will lead the global UAV payload and avionics market by the end of forecast period? What are the different ongoing UAV payload programs and the recent developments in the UAV payload and avionics market?